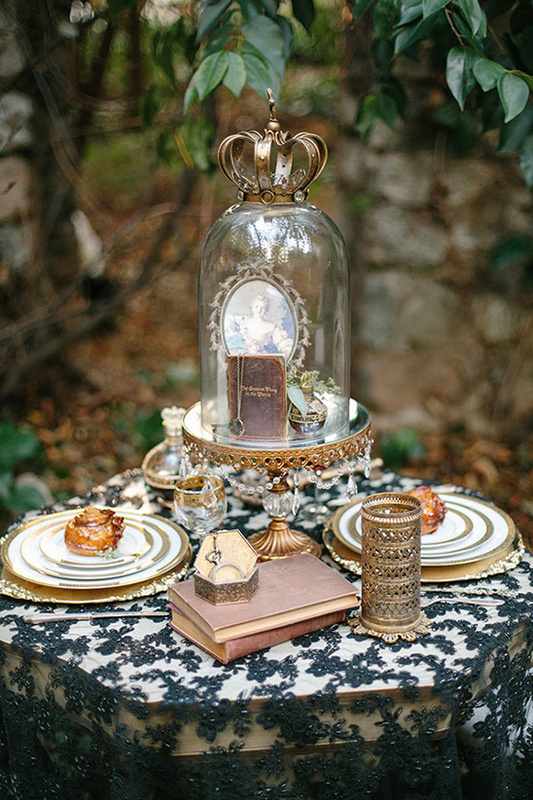 Black is a less common wedding color than most, but it shouldn't be underestimated. 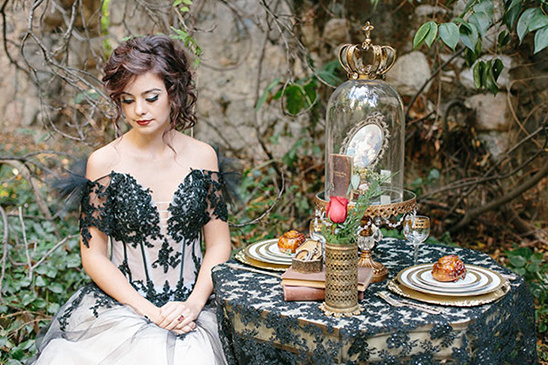 The color black often inspires dark and mysterious elements of classic romance. 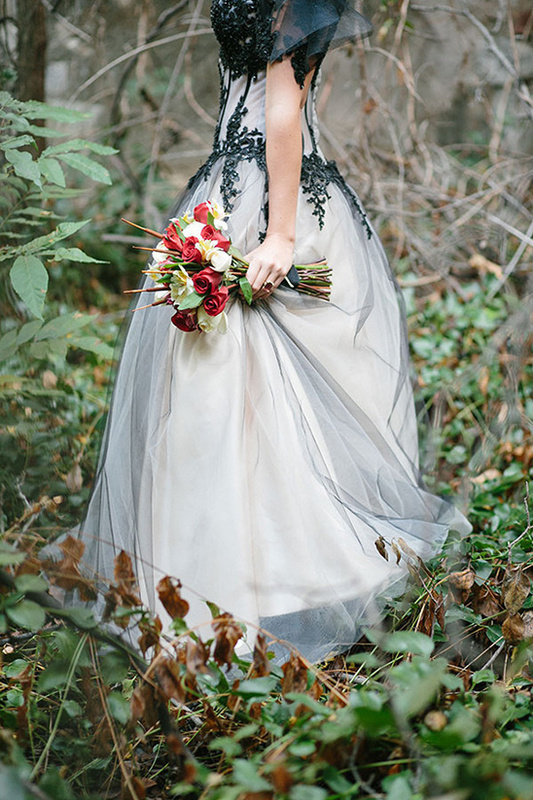 Just take a look below and you too will be swooning over the unexpected beauty that black can bring to a wedding day. 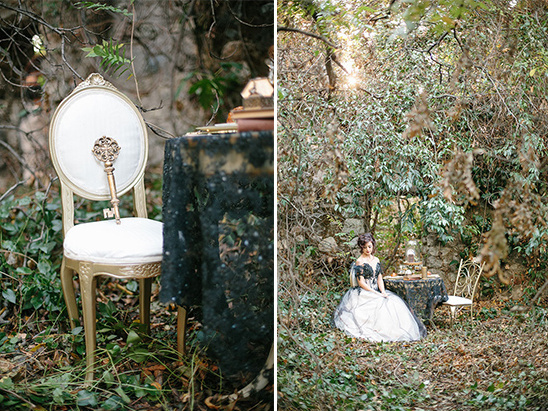 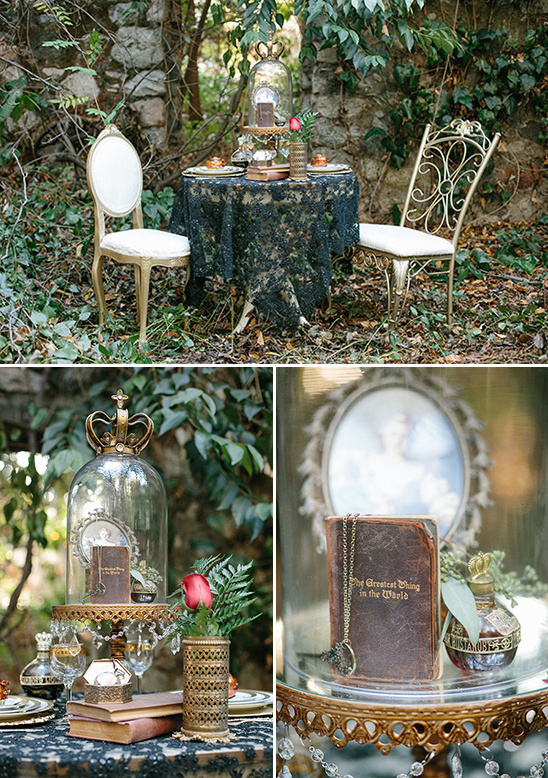 To see more dark and romantic wedding ideas from this hauntingly beautiful shoot, captured by Kristen Booth, view the full gallery here. 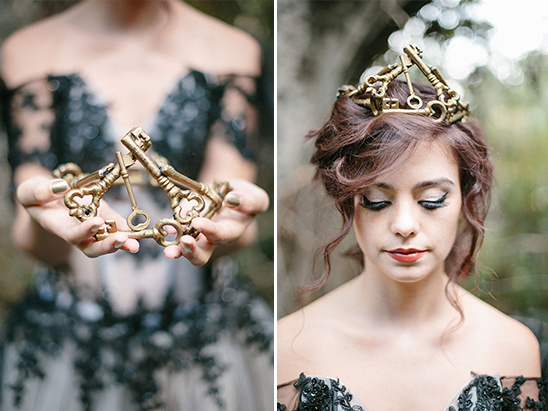 One detail, which can't go unnoticed, is this crown constructed by Ashley of Patterns on Walls out of antique skeleton keys.